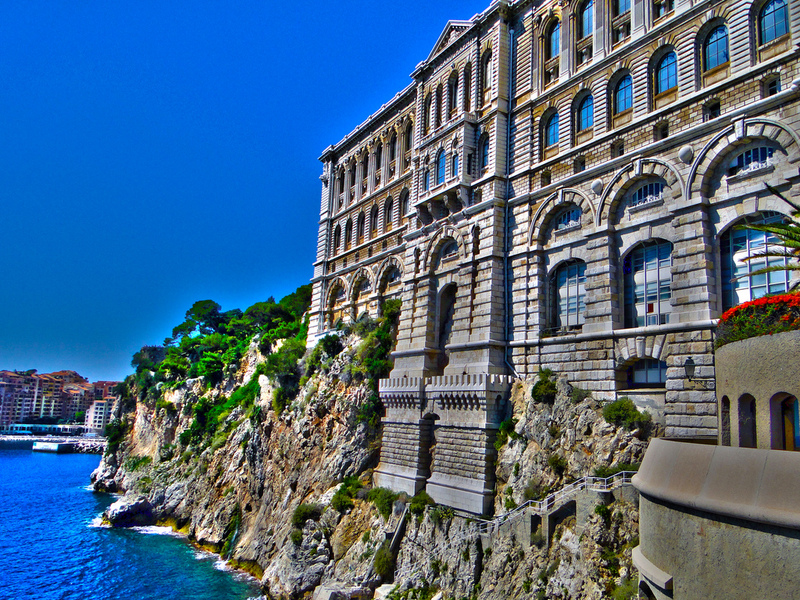 Built on the side of the mythical Rock of Monaco, the Oceanographic Museum has been watching over the oceans for over a century. Founded by the Prince Albert I, great grandfather of H.S.H. Prince Albert II, it was designed as a Palace entirely dedicated to Art and Science. From the aquariums to the collections of Natural History, including the Shark Lagoon and the Turtle’s Island situated on the panoramic terrace, the Museum offers to visitors a unique learning experience to know, love and protect the oceans and see some truly beautiful animals. The Casino Square is a beautiful place in the heart of Monaco. There are many designer and luxury stores surrounding the sqaure and some of the finest restaurants on the Cote d”Azur. are also located here. For extra atmosphere, the square becomes even more stunningly beautiful as the sun sets and the evening commences. Casino Square is the epitome of all things Monte-Carlo and this is definitely a must-see for all visitors to the principality. Monte-Carlo Harbor features some of the most luxurious and emotive scenery that Monaco has to offer. It is a great place for a leisurely stroll in the sunshine. It is filled with impressive yachts, glamorous people and surrounded by beautiful, historic buildings. You can even catch the 2-euro Bateau Bus (water taxi) from one side of the harbour to the other; a cheap way to take in all the sights while relaxing. A cruise ship pier was built in 2003, so the harbor is constantly buzzing with the rush of tourists. Furthermore, you can not miss the plethora of chic bars and bustling restaurants, yet this modern dynamism is mixed with age-old local tradition as you may well still see local fishing crews mending their nets in the harbor. The Exotic Garden of Monaco originally opened to the public in 1933 and has remained a must-see attraction ever since. It brings together a wide variety of plants known as ‘succulents’ in outstanding open-air surroundings and offers some of the most astonishing views of the Principality and beyond imaginable. The weird, wonderful and downright beautiful plants on display in this stunning garden come from various far-away dry zones (hence the term ‘exotic’): the South-West of the United-States; Mexico; Central and South America for cacti and agaves; South Africa; Eastern Arabia and the Arabian Peninsular. Because of their extravagant shapes, it’s sometimes hard to remember that these are plants in their own right; regularly producing flowers in order to reproduce. They, and the garden itself, could easily be mistaken for a work of art. 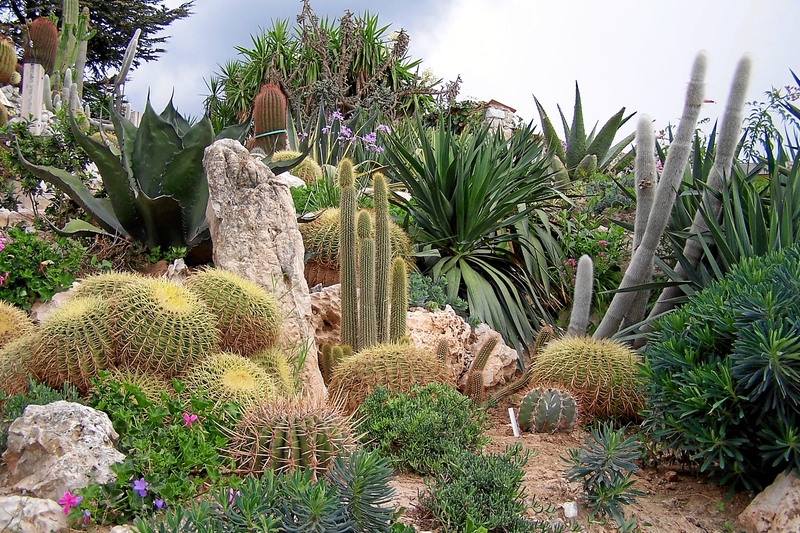 The Exotic Garden of Monaco is open all year except for the 19 November (Fête Nationale) and 25 December. The entry ticket includes visits to the Exotic Garden, the Observatory Cave and the Prehistoric Anthropology Museum. Towards the end of the 1950s, car enthusiast Prince Rainier III began his mesmorising collection of vintage and classic cars. His collection has gradually grown over the years to one of the most astonishing in The World. By 1993, the collection was so incredible that Rainier decided to open it up to the public. From Bugatti’s to Bentleys, and Triumphs to Tanks, this collection will take your breath away and last long in the memory. The collection is open 7 days a week, from 10 AM to 6 PM (closed 25th of December). The Japanese Garden is a free-to-enter public park on Avenue Princess Grace, in the Larvotto ward of Monaco. Although the garden is only 0.7 hectares in size it represents a true escape from the hustle and bustle of Monte-Carlo. It features a stylised mountain, hill, waterfall, beach, brook, and a even a atmospheric Zen garden for meditation. It is open daily from 9am to sunset. The garden was designed by Yasuo Beppu, the winner of the Flower Exhibition of Osaka 1990, as a miniature representation of Shintoist philosophy and remains a much-loved, must-visit feature of the principality. The Monte-Carlo Casino is a World-famous gambling and entertainment complex located in the heart of Monaco, overlooking the iconic Casino Square. Inside you will find the casino itself, the Grand Théâtre de Monte-Carlo, and the office of Les Ballets de Monte-Carlo. You would also experience a truly unique insight into the world of the rich and famous. The cars parked outside alone are indication of the glamour and glitz inside the architecturally magnificent building that for decades, has been the beating heart of the principality. The Casino de Monte-Carlo is owned and operated by the Société des bains de mer de Monaco, a public company in which the Monaco government and the ruling family have a majority interest. The company also owns the principal hotels, sports clubs, food service establishments, and nightclubs throughout Monaco. Inside the magnificent Metropole Shopping Center there is a world-class combination of boutique shops, luxury stores, high-end brands, cafes and high-street stores that will keep even the most discerning of shoppers entertained. As you walk into the marvelous-marble building, you will notice a priceless period chandelier hanging from the ceiling that perfectly sets the tone for your experience. Follow up with an morning and afternoon of window shopping, stopping for lunch at one of their six fantastic restaurants. Even without a few thousand Euro to splash, it’s worth a visit just to get a whiff of the latest trends and fashions and immerse oneself into the wealthy culture that epitomises Monaco and experience some old-school elegance. Larvotto Beach is the easternmost Ward in the Principality of Monaco and although it is apurpose-built beach, it still provides a wonderfully Monegasque experience. The beach is littered with fine restaurants and bars where locals and tourists mingle to catch up on the news, politics and business. There is plenty to do for children and lots of shops selling beach-gear. Whether it’s a day lounging in the sun, sipping champagne or a quick cappuccino whilst catching up with a newspaper, Larvotto Beach caters for everybody. 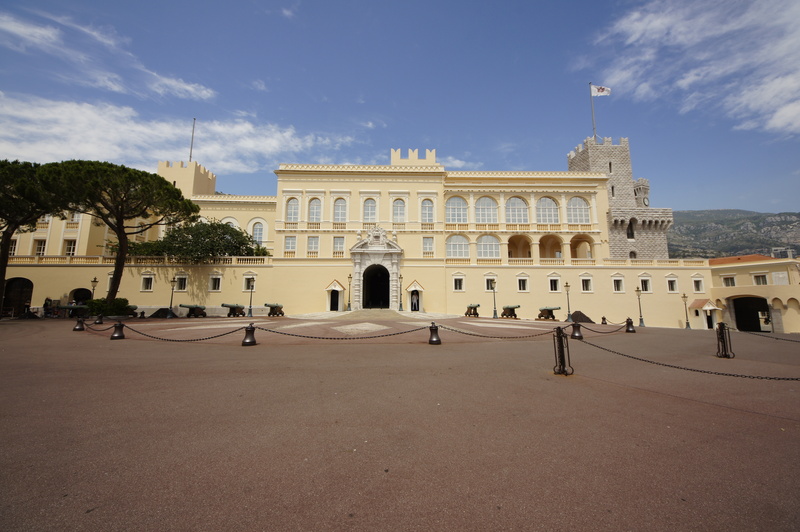 The Prince’s Palace is the official residence of the Prince of Monaco. It was built in 1191 as a Genoese fortress. Since the end of the thirteenth century, it has been the home of the Grimaldi family who captured it in 1297. Furthermore, just outside the prince’s palace there is a statue of the man who captured it – Francesco Grimaldi known as ‘The Cunning’. All in all, with all these wonderful stories to be told, the Prince’s Palace is an absolute must for every single visitor to The Principality.